School bells are ringing in my house, and the crisp air of fall will soon be on its way to North Carolina. I can’t wait. I decided recently that autumn is my favorite season. I love wearing jeans and the fact that I may need a light windbreaker. I love college football, colorful leaves, Octoberfest, and cornucopias. I love black cats and pumpkin pie. Yes, I love fall. I also like to cook more this time of year, and it’s also a time that I need to step up my exercise routine a little because I don’t necessarily cook light. Fall means chili, spaghetti, chicken pot pie, bratwursts, and lasagna. Some call it comfort food. I call it delicious and hearty. For September’s meal planning made easy link-up, I’m going to share with you a family favorite. 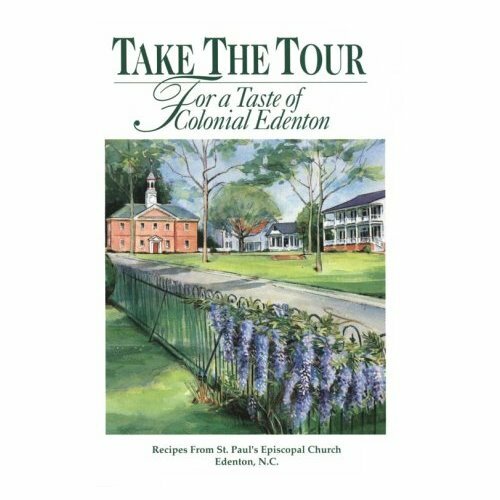 We love Pizza Spaghetti Casserole from the cookbook, “Take the Tour: For a Taste of Colonial Edenton.” The recipes are from St. Paul’s Episcopal Church in the historic waterfront town of Edenton, North Carolina. The church was originally organized in 1701, and this cookbook was printed in 1995. The funny thing is that I’ve never actually been to Edenton and found the cookbook in my mother-in-law’s storage unit several years ago. She had a box of about 30 cookbooks that were no longer in use. “Take the Tour” caught my eye. I snapped it up and have loved every single recipe I’ve tried. I use the book a lot. My children love this casserole, even picky Baby Diva. I’ve taken this dish to families with new babies, and they have all raved about the meal. It’s not light, but the ingredients are not processed either, so I don’t mind serving it to my family despite the calories on my waistline. We can make at least two meals from it. Less hearty eaters can stretch it further. Preheat oven to 350 degrees. Cook spaghetti according to package directions; drain and set aside. Sauté onion in butter. Add next five ingredients and stir to make a sauce. In 9-by-13-inch casserole dish, layer half the spaghetti, half the sauce, half the cheese, and half the pepperoni. Repeat layers, and bake for 25 minutes. I like to end my layers with a little cheese on top over the pepperoni. Have a favorite recipe to help us meal plan this month? The link will be open until September 15. Please add my blog button or add my blog link to the post you are sharing so other people can discover all of our recipes.